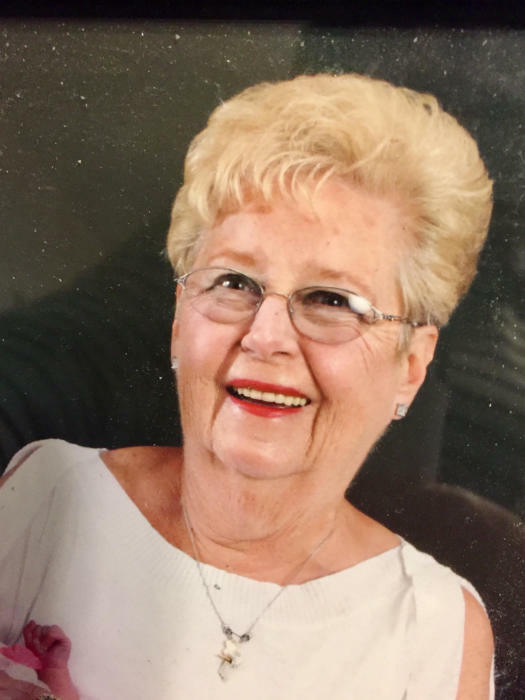 Obituary for Genevieve (Wright) Acocella | Bayonne Memorial Home, Inc.
Genevieve Acocella (nee: Wright), 84, passed away peacefully on Friday, November 16, 2018, at Alaris Health at Cedar Grove. She was born in Bayonne to the late Genevieve (nee: Golewhicwska) and Edward Wright and was a homemaker. Mrs. Acocella was predeceased by her beloved husband, Anthony Acocella; and her son, Thomas Acocella. She is survived by her loving daughters, Maria Acocella and Paula LoRe; her adoring grandchildren, Kristen LoRe-Ziobro (Danny) and Justin LoRe (Jenny); and her cherished great grandchildren, Mackenzie, Nicholas and Katelyn Ziobro and Alexander LoRe. She was also predeceased by her siblings, George and Ronald Wright and Lucretia Latko. The funeral will be conducted by Bayonne Memorial Home, Inc. on Wednesday, November 21, 2018. A funeral Mass will be held at the Church of St. Henry at 10:45 a.m. Cremation will be private. Visitation will take place at the funeral home on Tuesday, November 20, 2018 from 4:00 p.m. to 8:00 p.m.